Over the past year, employment in Winnipeg’s tech sector grew by almost 40 per cent, faster than most of the major Canadian tech hubs, including Vancouver, Ottawa and Montreal. The trick, insiders say, will be keeping companies beyond the startup stage. Marshall Ring recalls a time not more than five years ago when it was easy to find a parking spot on the street outside the Exchange District building where he works. Since then, the head of the Manitoba Technology Accelerator, a non-profit that helps start and incubate tech companies in Winnipeg, has been at centre of the rapidly expanding local tech industry. And it's become a lot harder to find street parking in what he hopes will one day be one of North America's tech superclusters. "It's hardly the worst problem to have," he said with a laugh. Over the past year, employment in Winnipeg's tech sector grew by almost 40 per cent, faster than most of the major Canadian tech hubs, including Vancouver, Ottawa and Montreal, says a report by national real estate firm CBRE called Scoring Canadian Tech Talent, which was released late last month. Among mid-sized Canadian markets with 10,000 to 15,000 tech workers, only Hamilton had a faster growth rate. Winnipeg's tech industry employs 16,900 people — 4,800 more than last year. This growth rate "reinforces Winnipeg's potential to emerge as a regional tech hub," the report says. Key to the success of cities competing for tech jobs is the ability to create clusters — dense areas of business activity with a critical mass of large and small companies and post-secondary and research institutions. The Exchange District, a national historic site filled with century-old warehouses that have been repurposed to become a trendy urban neighbourhood, already contains many of the necessary ingredients for a cluster in its mix of business, entertainment, boutique shopping and residential renovations. But all the stakeholders — including the City of Winnipeg, business organizations and institutions like Centre Venture and Red River College — must align their efforts in order to help the area meet its potential, said Ryan Behie, vice-president and managing director of CBRE. 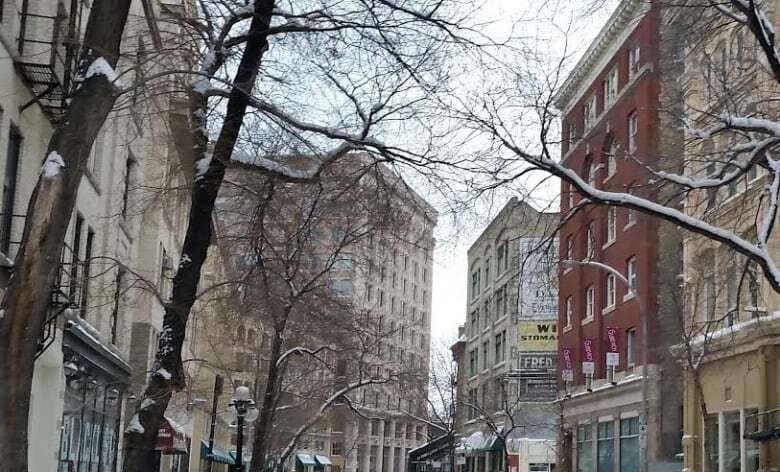 "You need to be able to live, work, play, all in the same environment, and the Exchange District has really come on over the last five years or so as the live-work-play destination and where young educated people in Winnipeg are choosing to live," he said. Tech companies are increasingly moving beyond the big tech centres of Silicon Valley or Toronto into Midwestern cities, where they have access to highly educated employees at a fraction of cost, Ring said. Sightline Innovation, an artificial intelligence and data trust company, moved its main operations base from Toronto to Winnipeg starting in early 2015, after it decided it wanted to translate its artificial intelligence technology from automotive manufacturing, where it is used to help classify parts and identify defects, to health care, where it is used to identify links between genetic markers and disease susceptibility. "The company hired four developers in Winnipeg, based on their superior impressions of the first developer that they hired from Winnipeg, from the University of Manitoba [computer science] program," said Mark Alexiuk, Sightline's chief technical officer. Initially, Sightline based its Winnipeg operation in the National Research Council building on Ellice Avenue, but when it outgrew that space, the company found a home in the Manitoba Technology Accelerator's offices in the Exchange. The company now employs 24 people in Winnipeg and aims to reach a valuation of $100 million within the next couple years. "We aim to make Marshall [Ring] proud," said Alexiuk. The Manitoba Technology Accelerator gives startups and companies looking to scale up access to capital and managerial support. The star child of the program is Skip the Dishes, which is worth more than $2 billion and employs thousands of people around the world. Ring predicts by 2020, the program will produce at least two more companies worth $100 million or more. "I would be very surprised if we don't accomplish that goal," he said. While Winnipeg's tech sector has experienced a boom over the last half-decade, companies have faced obstacles as they try to grow from startups to "scaleups," Ring said, with scant access to venture capital posing a major obstacle to growth. Winnipeg has an emerging culture of angel investors, who come in when a company needs $100,000 to $500,000 to get off the ground. The challenge comes when companies are looking for the next round of investment — between $1 million and $5 million. Investors in major centres like Toronto often want companies to relocate, but there are signs that could be starting to change as more companies find success in the city. "In a perfect world, we're going to see some [venture capital] funds emerge from people that have built successful companies, that can do more than just give money back into the new companies. They can also give network and management advice to help the next generation of companies scale." Ring doesn't expect to see Winnipeg's tech sector produce a company like Snapchat, which seeks to acquire a large number of users over a short period of time. 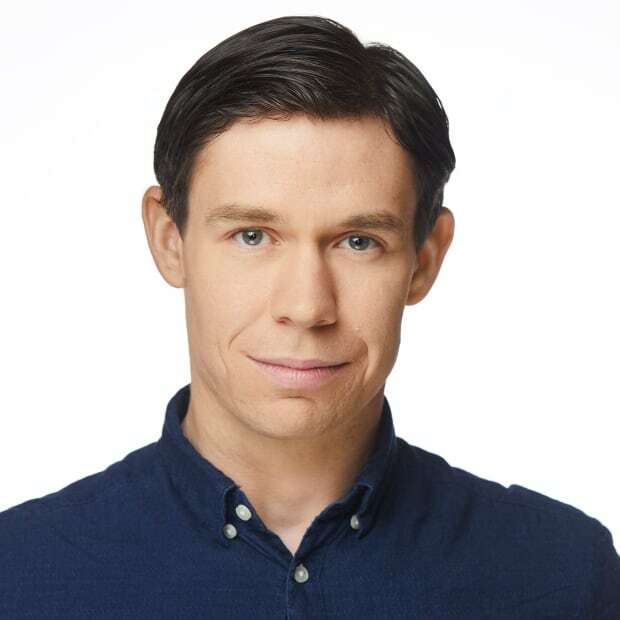 The strength of Winnipeg's companies, he said, lies in identifying thorny problems in the marketplace and using tech to solve them, over a period of 12 to 18 months. "There's a bit more loyalty here in Winnipeg with the worker base that we have, so we have more corporate knowledge … because it's not quite as transient in terms of workers moving back and forth," he said. As tech companies occupy more space in the brick-and-beam buildings of the Exchange District, the city will have to manage the spinoff effects in order to make sure the area continues to offer the kind of lifestyle employees in the industry seek. "Because it's not just about the job, it's about where they're going to live," Ring said. "It's making sure they're happy in the community."